Fighting on the Syrian-Turkish border near the northwestern Syrian town of Kassab between Al Qaeda insurgents Jabhat Al Nusra and the Syrian military continues for the fifth day. Point 45, a strategic hilltop overlooking Latakia’s countryside and Kassab, was regained by the Syrian army, initially lost to the mlitants flooding in from the Turkish side of the border. The Syrian Ambassador to the United Nations, Bashaar al Jaafari, has sent an official letter to the UN Security Council regarding Turkey’s support of the Al Qaeda offensive in Syria. 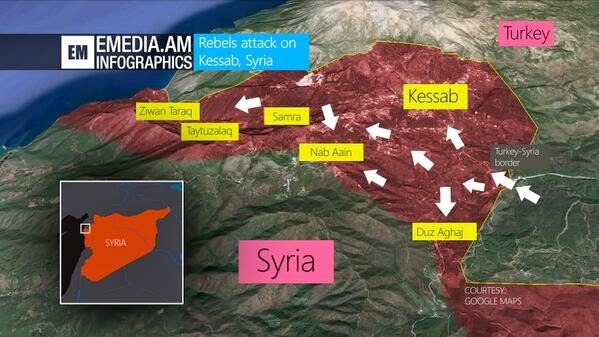 Early in the battle Turkey shot down a Syrian jet firing at Al Qaeda targets flooding in from the Turkish border. 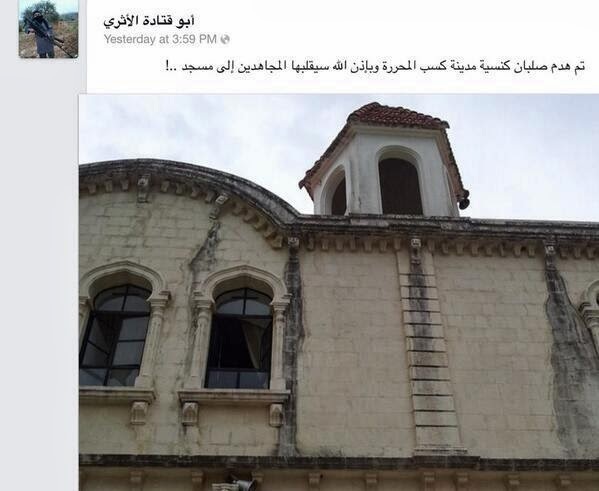 In turn Russia proposed a UN Security Council statement on Al Qaeda’s shelling of Latakia province. “We condemn UN silence over this crime and believe that it is a tacit approval of Turkey’s conduct,” the protestors told journalists. Protesters handed the UN Commission a letter that condemned the attack, describing it as a violation of international law and a breach of international commitments. 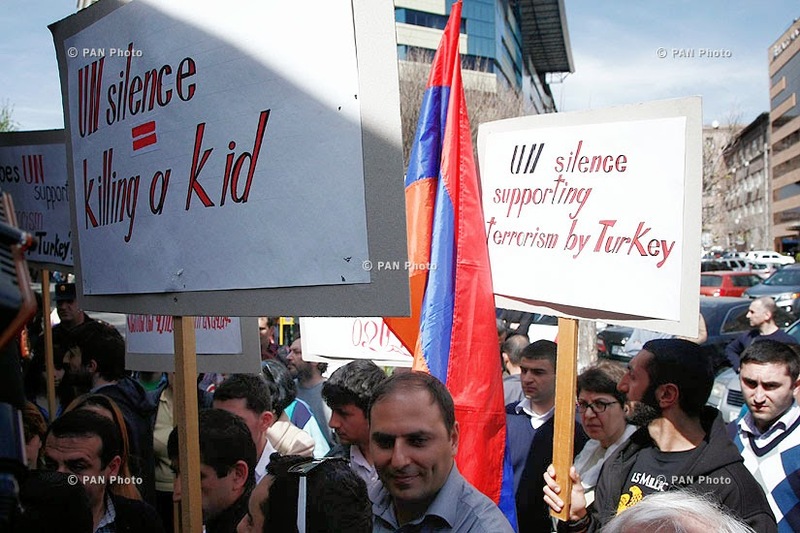 The Armenian president thanked the Syrian government for protecting Armenians in Kassab in a press conference, while on Wednesday members of Armenian parliament visited Latakia and met with Kassab Armenians to report on the situation. 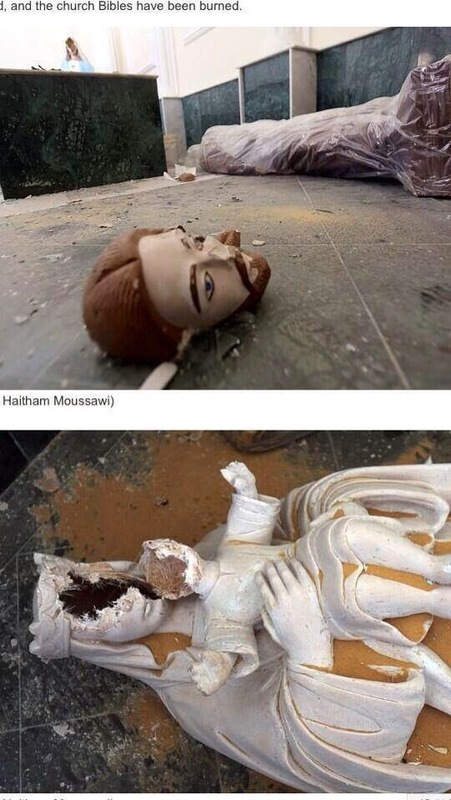 The Al Qaeda affiliated insurgents launching the offensive have ransacked churches (as they have in other areas of Syria), removing all crosses and removing the faces from many statues. The insurgents also began seizing and destroying alcohol citing that it is now contraband under their version of “Sharia law.” Early signs of the Sharia courts have been seen in other rebel held areas in the country. 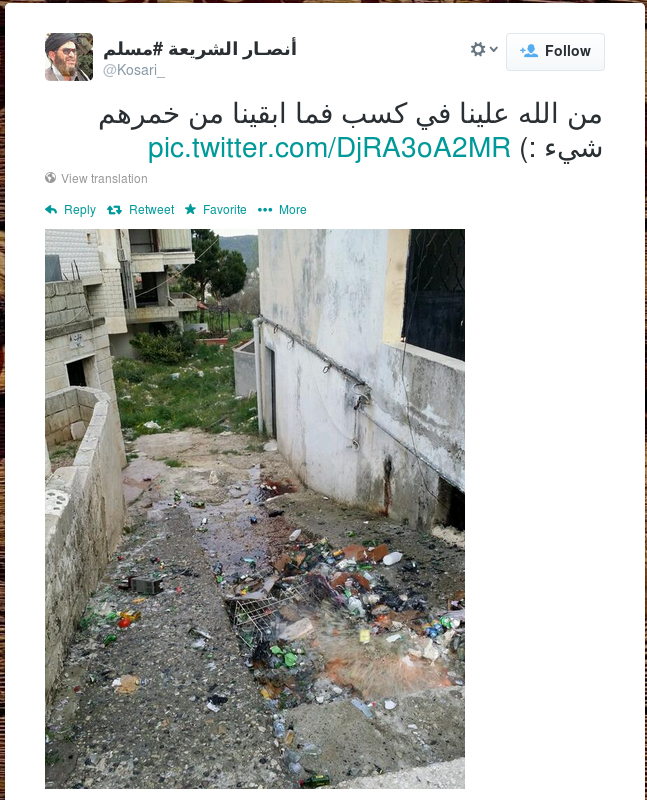 Images: Al Qaeda militants tweet that they have removed all crosses from churches and that alcohol is now contra ban.